When it comes to the impact of self-driving cars on crime, there are two general threads of discussion: the possibility of re-engineering cars for criminal purposes, and the opportunity to reduce traffic enforcement in the absence of speeding and parking tickets. One thing that has gotten less attention is the possibility for reduced anonymity in — and therefore greater prevention of — violent crime. The FBI has voiced concerns that self-driving cars could free up criminals in a getaway car, or be loaded with explosives to carry out a car bomb without a suicidal driver (see this and this). While these are not scenarios to take lightly, both of these concerns generally presume that car ownership will not fundamentally change when cars become autonomous. If Uber, Google, and even the City of LA have their way (as recent studies suggest), though, car ownership will decline dramatically when autonomous cars hit the road. Without the need for human drivers, Uber can cut costs and pass those savings onto the consumer, making it impractical to own a car. First, all trips would be registered in a database of some kind. Right now, every time I take an Uber or Lyft, those companies know exactly where I am for that period of time. They know where I was picked up, when I was picked up, the route I took, and my dropoff information. In a world where I rely on these services exclusively, my whereabouts could be determined at almost any point in the day. (This could happen even without a decline in car ownership. As cars become internet enabled, they’re already collecting data. Phones already track you too). Second, those who decide to continue owning a car would fit into certain profiles. The car enthusiast, the hobbyist, the ridiculously frequent traveler, guy with too much money, the guy who lives in a car…and more insidious profiles: the hacker. With the decline of car ownership, many car dealerships would close, making it more difficult to own a car in the first place — and more noticeable when you do. There’s an analogous set of profiles among non-owners that could develop, and would make certain behaviors more “noticeable”: the reduced need for car storage, and the rise of shared rides. As more and more rides can be shared, it would be both riskier to share a ride while committing a crime, and more noticeable when you opt to ride alone. (Note that for certain people, particularly the wealthy, riding alone will be the norm, and it’s difficult to know what carpooling rates would be in off-peak times.) Secondly, as most people don’t regularly need their trunk, most cars would shed their trunks and special cars would be ordered for travelers. This means that someone who orders a solo ride with a trunk would be less anonymous than your typical, trunk-less carpooling rider. (For a given hour and 2-block radius, this could be an identifying trait). The reduction of anonymity might concern privacy enthusiasts, but I’m optimistic that both of these trends would make it much more difficult for a criminal to involve a car in certain types of crime. (Physical) Car Hijacking – (in the Tsarnaev fashion) – Cars that are re-routed could be identified, as well as any car passing through the vicinity. Had the Tsarnaevs relied on self-driving cars, they may have still successfully taken a guy hostage, but they would not have been able to zoom off at 90 miles per hour, and their constant, immediate location changes would have probably set off a crime sensor. The car would have also been programmed to stop for law enforcement. (Technical) Car Hijacking/Hacking – Hackers were able to exploit a vulnerability in car software to remotely hijack a car. They were able to do this because they had two years to tear the car apart and dig into the car’s software. With a decline in car ownership, however, getting familiar with the software would be far more difficult to do under the radar. Not only would you have to tamper with the software for an extended period of time undetected, but you’d also need to test its interaction with the hardware, which would likely require a physical car to experiment with. If this becomes a national security concern, the government may decide to regulate who can physically own a car, and the owner of a compromised vehicle could be easily identified (which is already possible). Of course, there are simple workarounds for some of these tracking mechanisms. Phone theft would enable criminals to order rides without being tracked as themselves, but a simple phone password could at the very least deter a criminal from getting away as quickly as they could today. Simple security measures — verify a password when you get into a car, for example — could further thwart criminals. Self-driving cars could help reduce these types of crime even without complicated crime detection technology. With more advanced crime determent systems, it would be even more powerful: auto-detecting explosives. Detecting when someone is tampering with the software. Detecting a body in the trunk. Using big data to track suspicious behaviors. These changes could take years to unfold, and along the way we will discover that we haven’t even scratched the surface of how self-driving cars will change the nature of crime. In the meanwhile, the most important thing that autonomous car manufacturers can do is prevent new forms of crime from developing through hacking, hijacking, and re-engineering; take extra precautions to protect the vast amount of sensitive information they will be collecting, and take advantage of the data being collected to prevent accidents and save lives. I love getting emails from Jonathon Youshaei. It’s always something interesting with him: thoughts on an article he’s submitting to HuffPo. Intro to someone he thinks I should meet. Swapping ideas for Harvard-Penn alumni synergies. Finally taking me up on an intro to his LA carbon copy (and from what I can see, it’s been very bromantic). An email ode over the Google intern list-serv bidding my intern class farewell. There’s one email, though, that has truly changed how I communicate on a weekly basis: an invitation to his “Five Second Favor Club,” a community he founded with his friend Edward Lando. The idea is simple: bring together a group of passionate people working on interesting things, and provide them with an avenue to overcome an obstacle we all face: getting a lot of people to do something easy. Five-seconds worth of easy. We all have those moments: we need people to tweet out our cause, like our page, vote for our project; but tapping into our usual communities doesn’t quite cut it. There’s too much apathy on Facebook and clutter on Twitter for our posts to actually reach the people who would be the most interested in what we have to share. While people use the listserv for usual candidates for favors — like an FB page, share a tweet — it’s also increasingly been used as a forum to hand out favors: Invite to a Dropbox party. Invite to Medium. Early access to Google Shopping Express. Early access to Square Cash invites. Even the most mundane favors can start thought provoking conversations; whether its being asked to help promote the launch of an exciting new project, or give feedback on a blog post a member has authored. As far as I know, the Five Second Favor Club is one of a kind, but I see no reason for it to be that way. While “Favor Marketplaces” such as Trade A Favor exist, a listserv has the advantage of building a community, and allowing for relationships that develop over time and across favors. The community I’m part of initially grew out of Penn and seems to be centered around budding millenials in tech, but there are endless niches where this could work. Start your own. Give it a try. You’ll never know what could come out of it! For those of you living in LA, I’m sure by now a lot of you have heard about the upcoming election for the Mayor of LA — an election where your vote actually counts. I hope you’ll join me in supporting Eric Garcetti, and encouraging friends and family to do so also. I use these two schools only because it shows that LA has failed to curry favor with graduates outside of the city. It all seems so counter-intuitive when you’re living in the second most populous city in the country and one of the most ethnically diverse. This is about jobs in LA. One of his core agenda items is promoting the Tech community in LA. Becoming Tech-friendly means improving the job eco-system in Los Angeles, creating jobs through new companies, and hopefully preventing the outflow to San Francisco, Boston, and NYC by companies who see more promising opportunities there. As many of you know, my dad was subject to this when his division of an investment company he worked for moved to Boston in the early 2000’s —it’s not just the Tech community experiencing this. This affects everyone. I would love for the decision to move back to LA to be easy. But it isn’t. Los Angeles is by no means a professional oasis. If you’re not interested in Real Estate, Fashion, or Media, it’s hard to conceive of a professional track — the tech industry is, in many ways, struggling to identify itself as an industry independent of these three. Time and time again, I have seen new companies choose the Bay Area over LA, where there’s more engineers. I have seen great potential in Silicon Beach, but we need the support of local leaders to move forward. We can’t afford to miss an opportunity like this, to be led by someone who understands the importance of technology. This is about education in LA. We all have nieces and nephews, cousins, or children currently in LA public schools. My own family has had 10 new additions in the last three years. 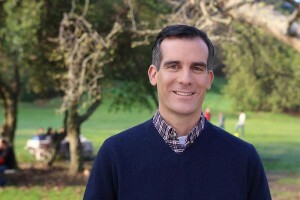 Garcetti is the only candidate who believes in adding computer programming languages to the school curriculum. I can’t stress to you enough the importance of this skill set in the future job market. Harvard’s largest class right now (over 1000 students) is Introduction to Computer Science — and for good reason. The US is falling behind on this — Los Angeles doesn’t need to. If you want to learn more, check out his website. Wendy Gruel has resorted to smear tactics and ridiculous propositions — which is both pathetic, and not the kind of politics I want representing me (politics is dirty. It doesn’t need to be that dirty). Make sure you’re registered to vote, and spread the word! Is Women’s E-commerce a Woman’s World? A few weeks ago, a small group of entrepreneurially minded women at Harvard & MIT got together for a dinner hosted by Google Ventures. 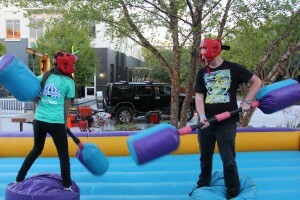 Unlike most company sponsored dinners, the Google Ventures team was not trying to explicitly hire. Instead, they wanted to spark the conversation about women in entrepreneurship (specifically, tech entrepreneurship). To start the conversation, a second-year at HBS pitched us on the social-fashion startup she was working on. As we critiqued and praised, we explored other interesting fashion start up concepts from Aubrie Pagano’s Bow&Drape to The Hunt to Laura Evans’ Valti to 99dresses to the big data possibilities of social fashion. As we took our tour of the startup world, we covered hardware startups such as CustomMade and Lockitron, services such as TaskRabbit and SurfAir, and big data startups like Palantir. I was embarrassed. I’ve turned down opportunities at many fashion startups — even in technical roles — out of fear that I’d be branded with the “woman in fashion” stigma. And yet, I had contributed substantially to the fashion ecommerce conversation at dinner, bringing up my own experiences in Silicon Beach, Los Angeles. My initial defense addressed the dinner as a whole, “Sure, we talked about it a little, but we also talked about so many other things…like big data….” I could tell Leila wasn’t particularly satisfied with my answer. I realized I wasn’t properly addressing her concern. Do male entrepreneurs talk about women’s fashion? Why yes, yes they do. 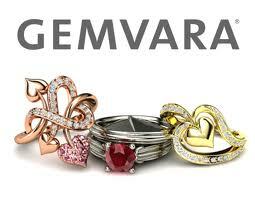 “Leila, let me show you some interesting startups…” The first company I showed her was Boston-based Gemvara. Jason Reuben, one of the original cofounders, is a good friend and personal mentor. If you live in Boston, they’re hard to miss — their marketing campaign has permeated the public transit system’s walls. From there, I showed her Jewelmint by Beachmint, where I had my first startup internship working for cofounders Diego Berdakin and Josh Berman. In Beachmint’s first three months, they only had one woman hired full time, and they had a part-time consultant Ara Katz (who eventually joined full time). Yet they were a women’s fashion company, making decisions about what kinds of jewelry they would be selling, what price points made the most sense, and how to best market their celebrity faces. Today, Beachmint’s nearly all-male executive team is well shielded by its celebrity spokespeople, from Kate Bosworth and Cher Coulter to Mary Kate & Ashley, and its beautiful, female-oriented site design. As someone unfamiliar with the company, you would probably have to dig through tech sources a little to learn that it was in fact founded by two men. Next ShoeDazzle, the original subscription-celebrity-ecommerce pioneers and one of Beachmint’s chief competitors. ShoeDazzle too has a celebrity face – Kim Kardashian, and was (“co”)founded by Brian Lee. Like Beachmint, their marketing strategy puts celebrity first — to the point where many customers believe that ShoeDazzle was Kardashian’s idea, and that she played a huge role in building the company (if I had to guess, I’d say doubtful). Unlike most other tech companies, in a typical ShoeDazzle press release, it takes some scrolling to find the actual founder’s name (and often, it’s not there at all). 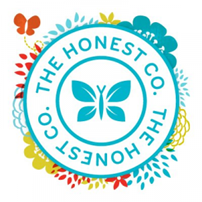 Brian Lee is also a founder of the Honest Company, again, with celebrity face Jessica Alba. A quick look at their About Us page fails to mention Brian entirely, and contrasts sharply with Crunchbase’s list, which counts Ethan Czahor, and Jeremy Liew in addition to Lee. Even on Crunchbase, Alba is the founder, Lee is the co-founder; ironically, no other “co-founders” are listed. As with ShoeDazzle, Lee hides in the fine print — although Honest Company has less of a female slant than its sister shoe club, its founders are no less eager to hide from the spotlight. Alba seems more involved in the company than your average celebrity face, but it’s hard to know for sure — and without a doubt, Lee and his team aren’t getting enough credit in the press (deliberately, I’m sure). Similarly, FabFitFun, a women’s enewsletter, appears to be run entirely by Giuliana Rancic. Behind the scenes, though, the business decisions are being made by men. CEO Daniel Broukhim runs FabFitFun via Charlie Ventures, which itself was founded by Broukhim and three Harvard grads, but his profile on the FabFitFun website credits him only with Business Development. Like ShoeDazzle, the men behind the scenes are hidden, and if you didn’t know any better, you would never believe that it’s not a group of women running the show. Of course, this is by no means a comprehensive list; nor is it the case that there are no women leading successful ecommerce companies – from Olga Vidisheva’s Shoptiques to Rent The Runway to Milk & Honey Shoes. Perhaps it is time, however, for us to question what it means for an industry to be “traditionally female.” The men running these companies have discovered something important: women’s shopping habits make them an excellent target audience for a growing business. Then why should we, as entrepreneurially-minded women, shy away from these opportunities simply to avoid a stigma? Leila was concerned that male entrepreneurs aren’t talking about fashion the way women entrepreneurs do. Some clearly do. Maybe most don’t. Personally, I think we’re asking the wrong question. I’m more curious — what opportunities are women missing out on from fear of fitting some stereotype? Our male peers are building business. They’re looking for opportunity, inefficient markets, profit, and arbitrage. Are our male peers worrying about the “male in sports” stigma the way we worry about “female in fashion”? The “men in men products” stigma? I’m inclined to believe they embrace it they way they embrace any business venture. As women in tech, we limit ourselves by avoiding these stereotypes — not by fitting them.